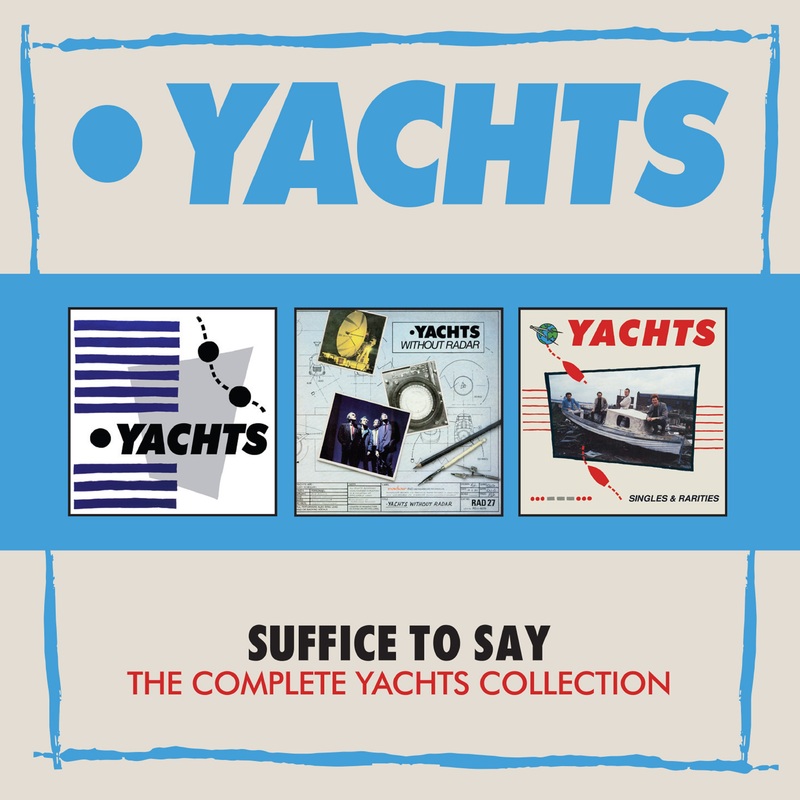 It was a fluke that the British new wave band Yachts developed their signature “garage-y pop sound,” as described by head Yachtsman Henry Priestman. And it was just by chance that the band got signed in the first place. Fluke, or perhaps fate, but Priestman randomly acquired an organ that helped define Yachts’ sound. The band’s signing to Stiff Records came about after Yachts supported Costello at Eric’s, which had become the club in Liverpool, the band’s home turf. 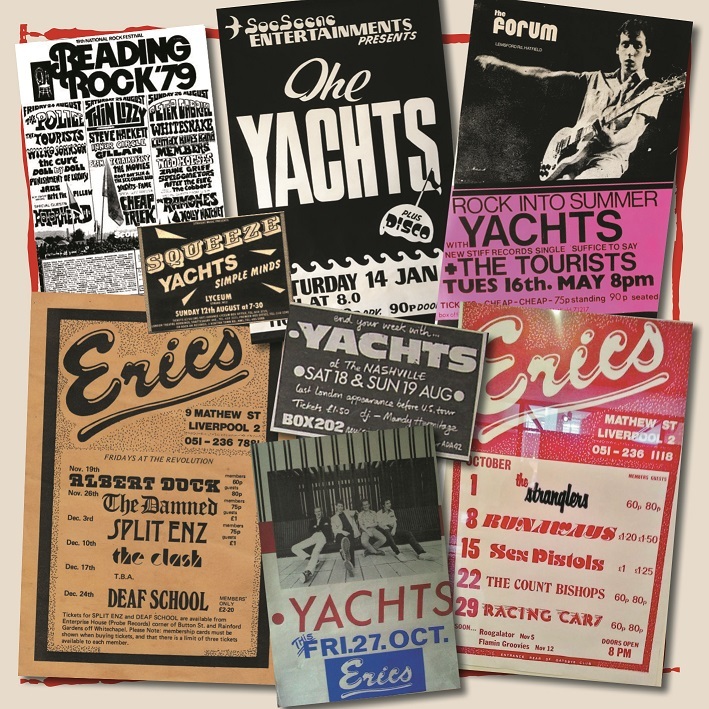 Record company representatives came to Eric’s to see Costello and invited Yachts to support him during a residency in London. “What would have happened if we hadn’t been asked to support Elvis Costello when he played at Eric’s? By the time we came out of the last week of the month’s residency, it was a case of Stiff Records saying, ‘Okay. Right. We’re signing you.’ And you just think that’s such a lucky thing to happen. The stars aligned and we got ourselves a deal, albeit just a singles deal. But without ‘Suffice To Say’ coming out on Stiff we probably wouldn’t have done anything,” Priestman said. Priestman grew up in Hull, on the East Coast of England. Like seemingly all would-be musicians in England, he had his sights set on going to art school, in 1975, with the intention of starting a band. In Priestman’s case, it was Liverpool Art College, incidentally the same school John Lennon attended. The seven-piece Albert Dock would sometimes place a large cupboard on stage with the back knocked out and enter through that to begin their performance. Another time they descended onto the stage by a rope they had place on the side of the building. Hey, they were art students. Punk and new wave began surging in popularity and in the music press, and the band members thought they should take things more seriously. But not too seriously, at least when it came to picking a new band name. The band maintained a clever, recognizable graphic design identity and and wrote often-witty songs like “Mantovani’s Hits,” which imagines a musical universe where Mantovani had hits, but not Elvis Presley. “Suffice to Say,” which brought them their record deal, was written by Priestman for a girl, Jackie, he was dating. “That was my way of writing an intense love song. It’s not your normal love song. I was only 21. I hadn’t experienced much. I hadn’t really experienced love in a proper fashion up to that point. But also I hadn’t experienced hate. I’m amazed by some people and the intense lyrics they come up with at that age. I was obviously very immature, but I could come up with some wry, sort of amusing lyrics. Yachts were signed to Radar Records and spent two weeks recording their debut album in the studio above Radio City Music Hall with Blondie producer Richard Gottehrer, who was a co-writer and producer of “My Boyfriend’s Back,” and co-produced “Hang On Sloopy” among other hits. The album, called Yachts, in the U.K. and, S.O.S., in the U.S., was at one point the number one “added on” album in both Record World and Cashbox’s “Most Added LP” radio play charts, and third on Billboard’s. Rock photographer Bob Gruen did a photo session at various sites in New York of the band for the record sleeve. They did a 40-date tour in the United States and Canada as headliners, and then a few more shows opening for Costello and Joe Jackson. Yachts were a band on the verge. Until they came home. “We came back to the U.K and it felt like more of a drudge, a bit more like hard work. We came from having wowed them in the states and then it was back to real life. 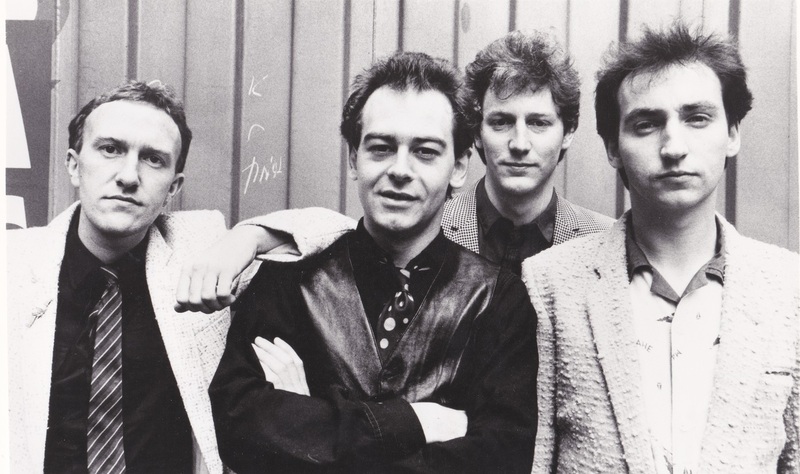 The British press didn’t really get us, or the wry off-beat lyrics that people in the U.S. had responded so well to, and we weren’t The Clash, or the Ruts, or Wire, or the Gang of Four. We weren’t angular and angry. Still, after Yachts’ management sent a cassette of their songs to the Who, Pete Townshend chose the band as openers for a short European tour. 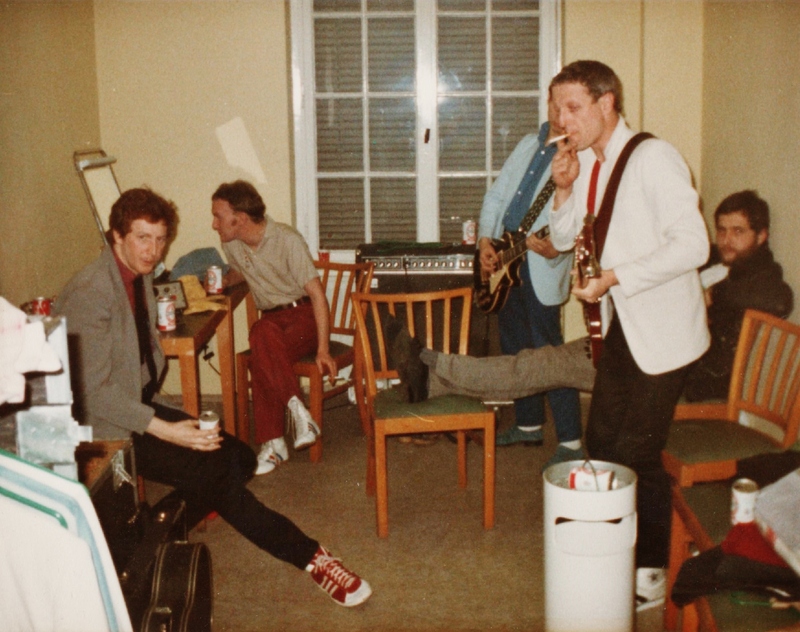 Yachts in Frankfurt, Germany in 1980 while supporting the Who. Priestman is far left. Their second album, Yachts Without Radar, was produced by Martin Rushent, who also produced the Stranglers, Buzzcocks, and Human League, among others. Priestman called it a perhaps slightly more sophisticated, less poppy, effort, and jokingly added how it has been referred to as Yachts’ “prog album.” That’s because it was written while they were promoting their first album, and the songs were stretched out live and, subsequently, on the album, too. But the album didn’t sell and Yachts was dropped from their label. The band recorded an album’s worth of demos but found no takers. And so, the Yachts enterprise capsized. The label Cherry Red contacted Priestman about a Yachts box set while he was mulling a way to get the band’s music out. Fluke or fate? You can purchase the box set from Henry Priestman’s website and he’ll also sign it for you. 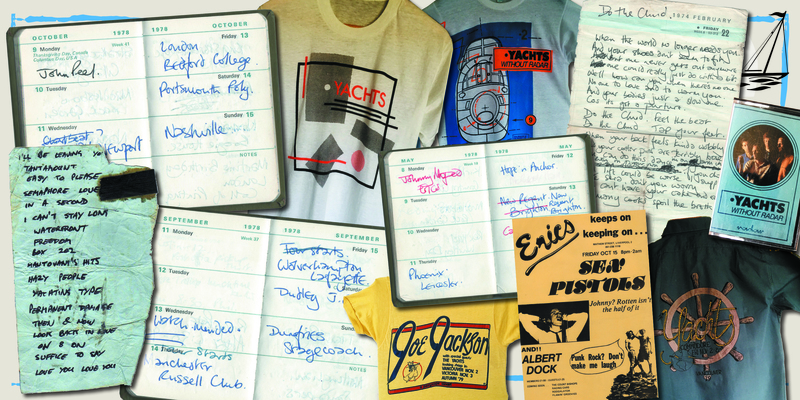 Spectrum Culture has a review of Yachts’ box set.